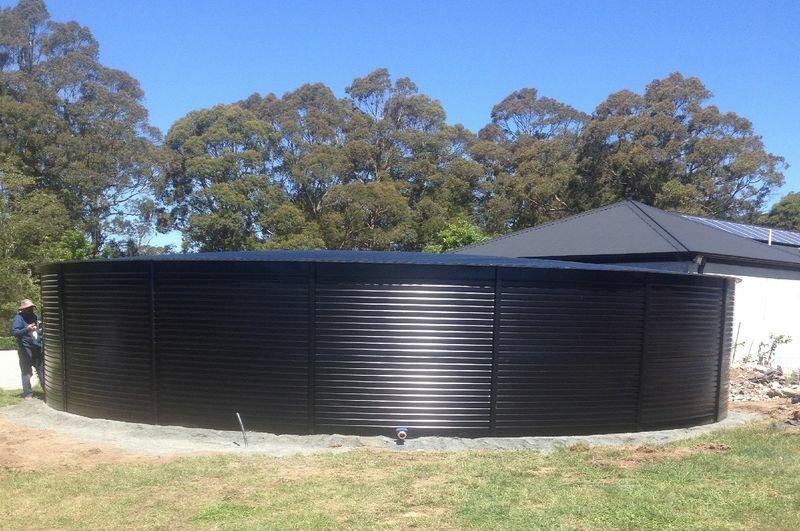 For over 27 years, Pioneer Water Tanks has supplied Australia with water tank solutions for all types of farming, domestic and agricultural applications. 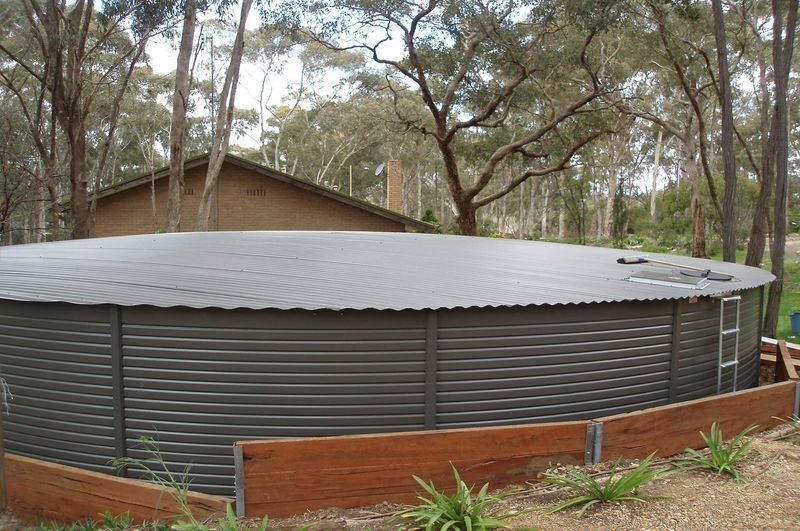 Designed for Australia's harsh and demanding conditions, Pioneer Water Tanks are manufactured using strong and durable, fully recyclable 100% Australian Zincalume® or Colorbond® steel. 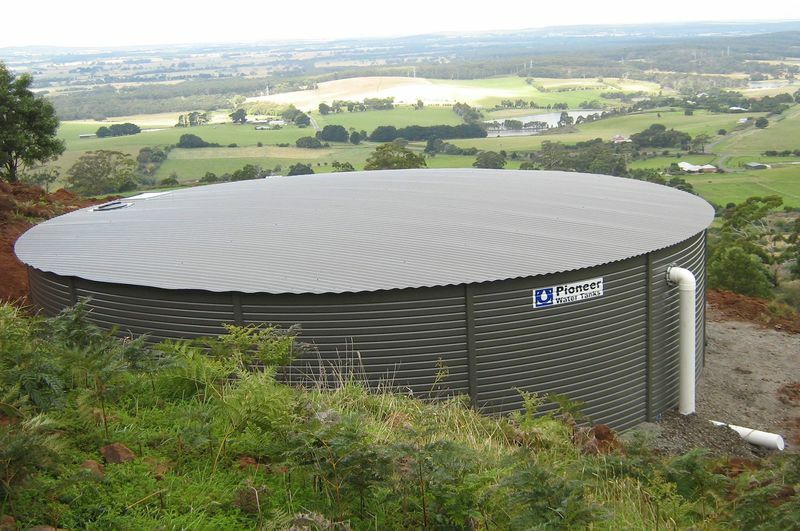 Our range of water tanks are available form 12,000 to 250,000 litres in our standard range or can be customer built up to 2.6 million litres. 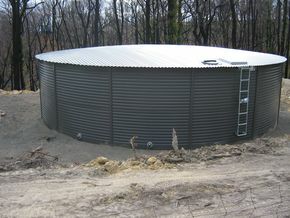 Our water tanks are great looking! 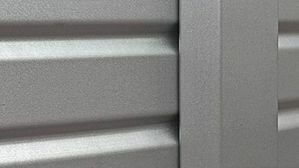 With a wide range of Colorbond® colours to choose from, you can pick the right aesthetic for your surroundings. 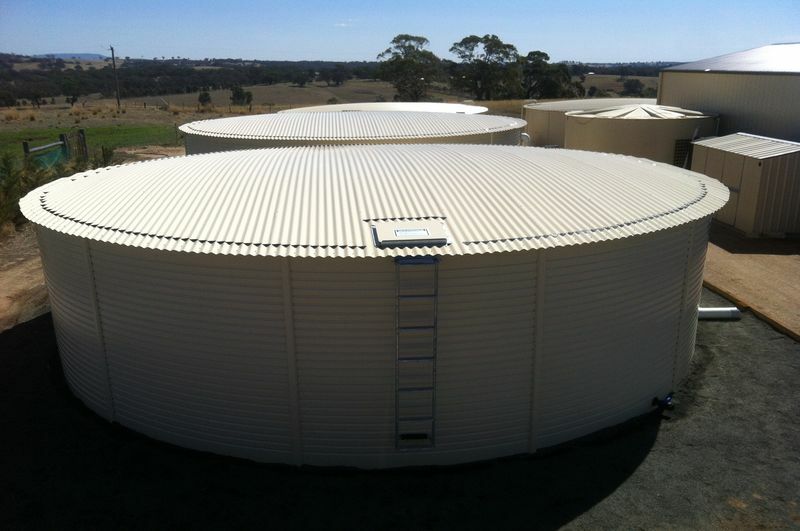 All our tanks can provide fire protection reserves and our exclusive range of Australian made tank liners guarantee the highest quality drinking water and maximum water storage safety possible. 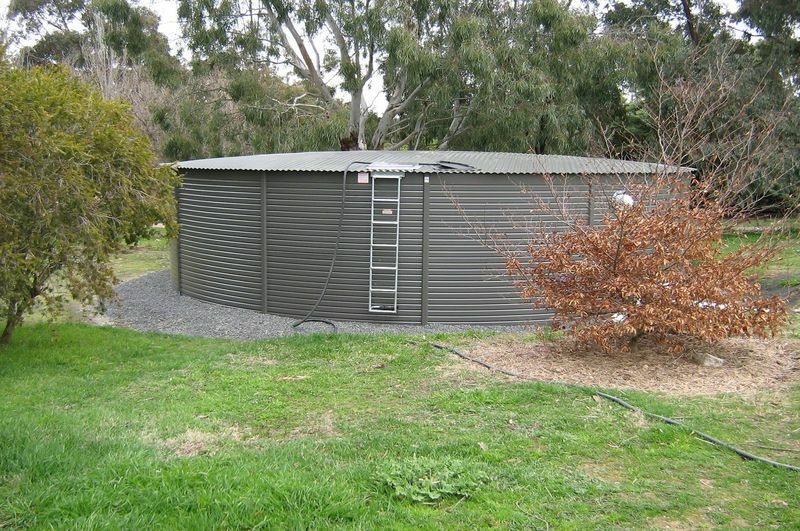 Pioneer Water Tanks have serviced the Victoria region for over 24 years, we understand exactly what is required when it comes to providing the highest quality steel rain water tanks that provide great value from money. 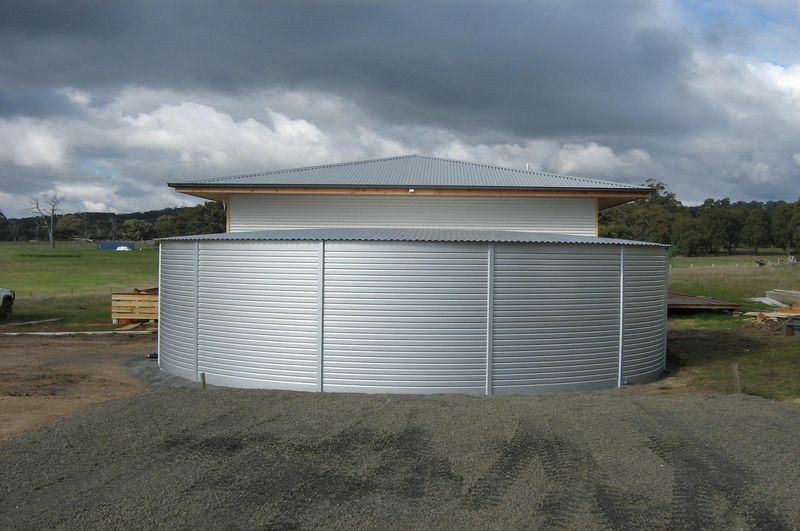 Whether for personal, rural, or firefighting needs - our quality Austrailian-made products will deliver the long-term water security you're looking for. 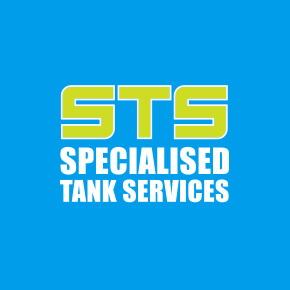 Specialised Tank Services have been Pioneer Water Tank distributors since 1992 and are confident they will find a solution for your liquid storage needs. Our 150mm diameter overflow connection and down piping is the largest in the market. 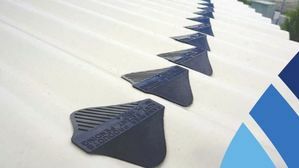 Designed to meet the Plumbing Industry Board's requirements for an overflow greater than the infill rate of water. This means you can avoid costly problems associated with a tank overflow. 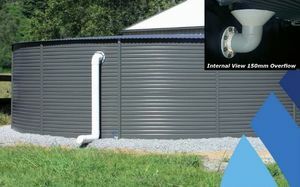 Pioneer Water Tanks’ one-piece PVC wall connection prevents water coming into contact with any steel around the overflow penetration. The need to use any chemical based sealant is also eliminated to protect your potable water supply against possible contamination. 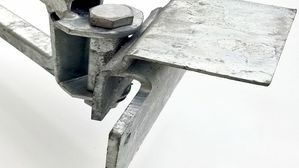 The exclusive heavy duty Pioneer Water Tank roof connects to the body of the tank through a unique swivel foot roof connector and high-tensile bolts. 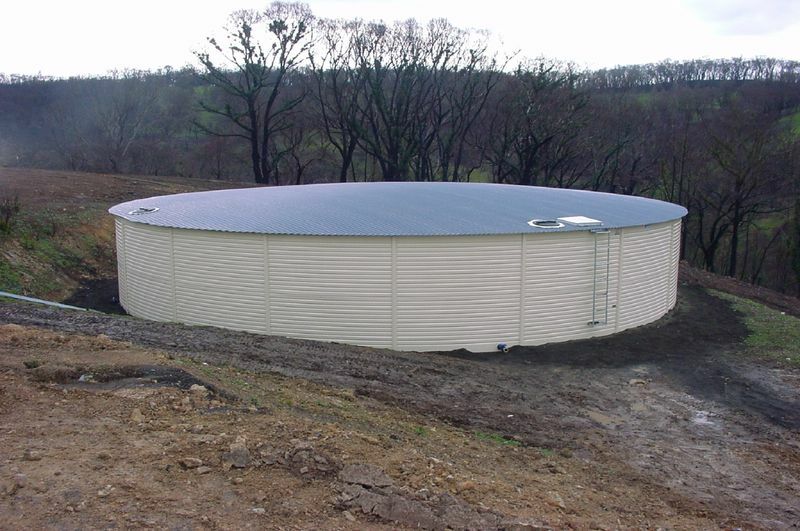 Offering safe and reliable load resistance and tie-down of the roof means you don’t have to worry about the performance of your tank roof in even the most extreme conditions. 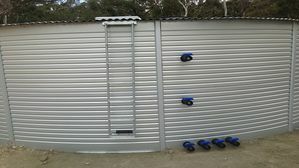 Pioneer Water Tanks’ modern and unique 8-80 V-LOCK® wall profile provides the strength of corrugated steel and maintains perfect support to the liner moulded to the inside of the tank wall. The 8-80 V-LOCK® design maximises the strength of your tank to ensure it stays in shape when full or empty whilst minimising liner stress. 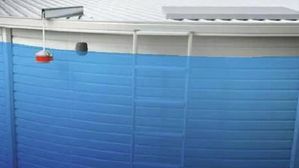 We can fit an extra valve on the wall of your tank which will prevent the total loss of water in the event a pipe breaks or there is another incident away from the tank. When the water level is well above the reserve fitting, you can turn off the bottom valve and run the tank off the top valve to control the amount of water lost in the event of a burst pipe or similar. 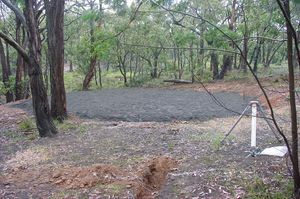 Tank Pads are to be constructed at least one metre wider than the tank diameter and at least 100mm thick,on completion of tank installation a gravel perimeter needs to be spread around the perimeter of tank at least 100mm and.5m around the tank to help prevent erosion and rabbits burrowing. 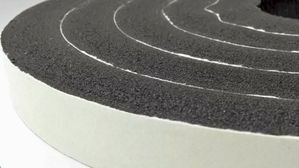 Please ensure that the base is clean and free of sharp objects as the liner comes into direct contact with the bluestone dust. 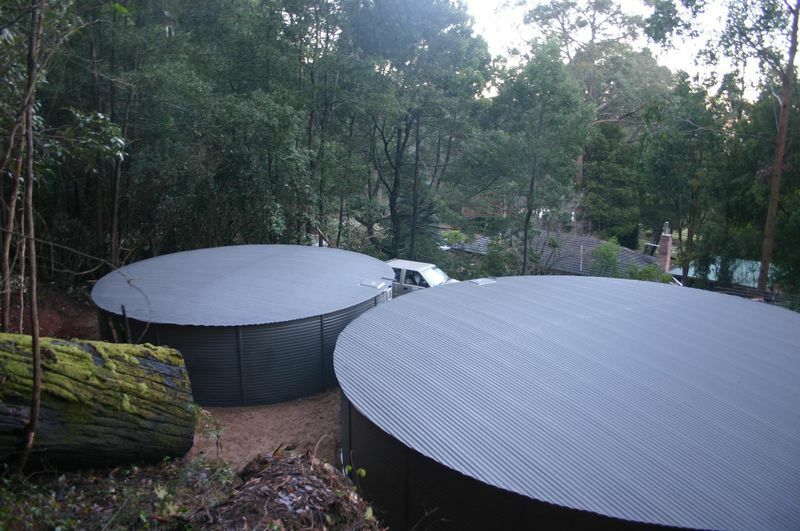 A level tank pad is important for installation and the ongoing use of your new tank. 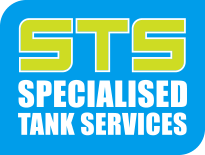 We can arrange your tank pad installation and gravel if required at the time of tank installation. 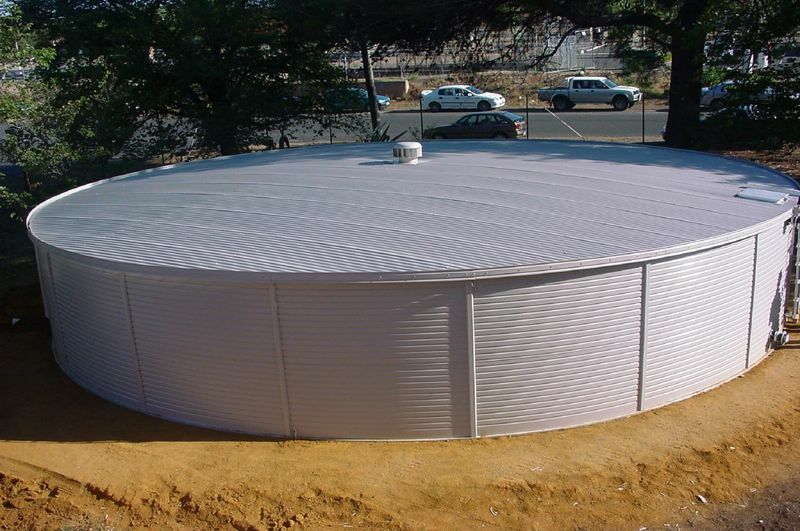 Tanks can be installed on a concrete pad if required, but additional materials are required at extra cost, so please let us know if you tank will be going on a concrete pad before order is placed. 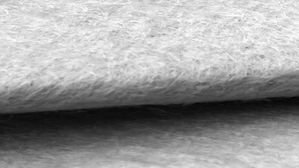 Please contact us with any questions as incorrect pads can incur extra charges to rectify.